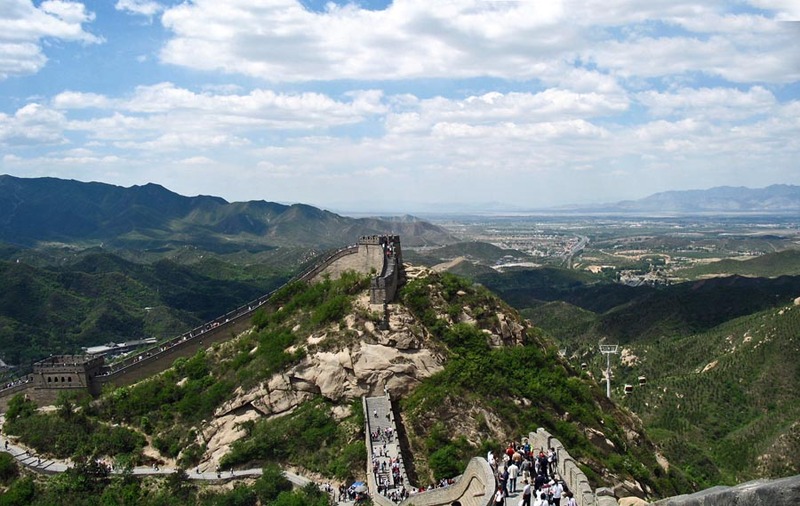 Here are photographs of the Great Wall of China. This wall was built in ancient times to protect Imperial China against invaders. It is built along the northern borders and has been built and re-built over many centuries, starting from over 2000 years ago. The actual wall is about 6,259 kms long but if trenches and natural barriers are counted, then this fortified border is 8,850 kms long. However, with all its branches is said to measure 21,196 km. All types of materials were used to build the wall including stone, mud, wood and bricks. Some parts of the wall have been eroded or destroyed and these images were from Beijing where the all has been well preserved. 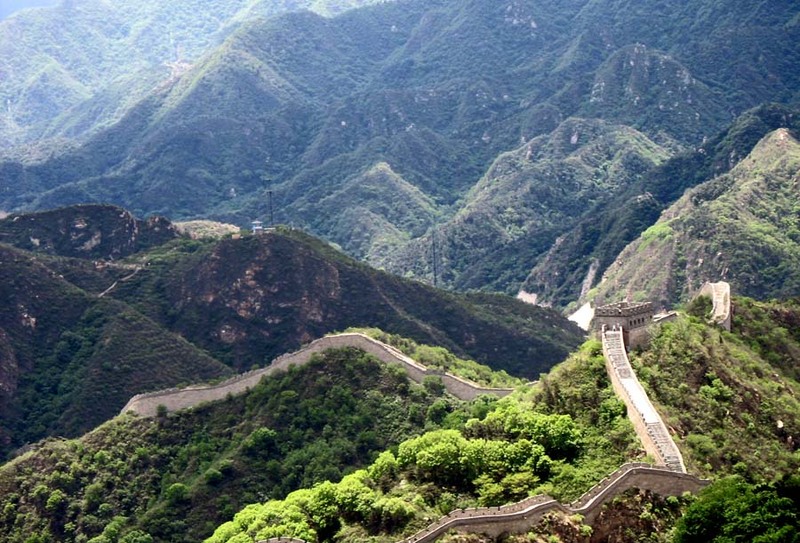 The wall snakes across the picturesque mountains. A section of the Great Wall. Here is a merged photograph showing the panorama of the Great Wall of China. You can see the wall snaking into the distance amidst the natural beauty of the mountains. 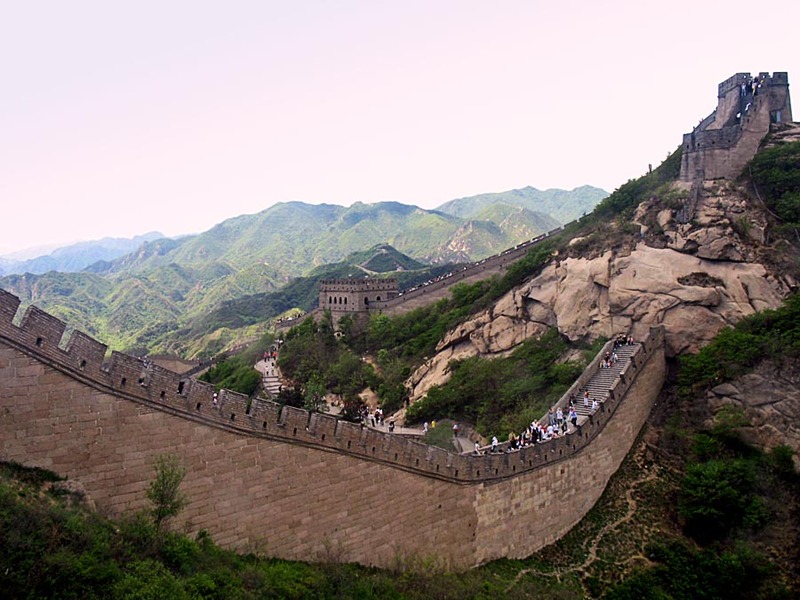 Or check out all the photos on China which includes people, places, silhouettes and sketches.